HomeUncategorizedNetcetera are Recreant Milquetoasts and Poltroons. 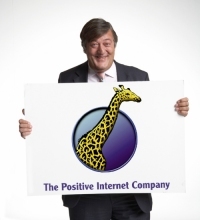 Positive Internet Stand Tall. So, the Quackometer has been up and running for 24 hours now and most systems have been restored. A bit more to go though. For the technically inclined, this has involved a move from cuddly cotton wool children’s Microsoft servers to grown up, open source, Apache/Unix servers where a missed semi-colon can kill faster than a homeopath dishing out malaria pills. It’s been a bit of a bother, but I have time in the evenings now after becoming a Wiidower. Mrs Canard Noir bought me a Wii for Christmas and I have barely used it. She is next to me hogging it at the moment, trying to get Laura Croft to shoot wolves. You should see her on Wii Boxing. It scares me. So, I might as well blog. Backstory: Professor Dr Professor Joseph Chikelue Obi FRCAM(Dublin) did not like some stuff I wrote that highlighted his bizarre behaviour and strange quackery. After a year or so, when the Google search results were displaying my site highly despite his best efforts to write so many third person articles about himself, he gets a professional letter writer, Ms Tanja Suessenbach, to threaten my web hosts, Netcetera, with legal action if they do not pull my site. But no, they asked me to remove the offending pages and ‘seek agreement’ with Obi. I did to avoid immediate suspension, but felt that Netcetera had put me in an impossible position of being completely unable to reach any sort of reasonable agreement with Obi. How could I? He had got what he wanted. All I could do was dig up more info on Obi in an attempt to show Netcetera just how ridiculous he was. It was soon clear that his ‘College’ he set up in Dublin (Royal College of Alternative Medicine, RCAM) was a complete facade with some strange anomalies in its registration. Thanks for getting back to me. I fully understand this is a difficult position for you. Netcetera want to get on with the business of web hosting rather than deal with rubbish like this. However, I feel that an important point is being missed. Obi made his claim of defamation without a shred of evidence to substantiate that. On your request, I asked for that evidence and you still asked me to take down the pages. I hope that as a service provider you do not feel that it is acceptable for third parties to demand the removal of your customers’ content without having to back up their demand with good reasons. We will not get the evidence required to substantiate Obi’s claims. those pages and I intend to do so. I hope it will be with your consent. We do not wish to be in a position where we could be taken to court, and incur the loss of time and expense that would involve. Consequently Netcetera have decided to suspend the Quackometer website, with reference to our Acceptable Usage Policy, the first part of which is quoted below. We will prevent public access to the site as of noon today 18th February 2008. You will be able to access the content to be able to transfer it to another host if you so wish. We will hold the content available to you for 30 days, and then we will remove it from our servers. So, that gave me 20 minutes to prepare for the collapse of the Quackometer. On the face of it, it looks like Netcetera were unhappy about being taken to court over something that was not their argument. I think it is worse than that. If anyone there had slightly looked at the complaint (and remember, Obi and Suessenbach refused to respond to request to make clear their grievance), it would appear obvious that the complaint was groundless. Worse than that, the complaint was a blatant attempt to remove legitimate criticism from the web. Netcetera would have won and reclaimed any costs. They just did not want the bother – far easier to lose a customer than to defend their customers. Positive Internet offered me free hosting after the Magic Watergate scandal. I had been dragging heals over this because of the large amount of work involved when I could have been harassing quacks. Positive are marvelous; you can read about them here. For me it is enough to say that they are the only Internet hosting provider with an entry on the Pilkipedia. Right now, I am aware that I have lost half my audience as they are now exploring the Pilkipedia. Damn, there goes another 50%. So, for those of you left, I shall finish the story. If you fancy running a controversial website, you might like to think twice before signing up with Netcetera for hosting purposes. The Duck’s crime was to collate newspaper reports concerning one Joseph Chikelue Obi. If you fancy doing some waterfowling of your own, do check whether your hosting contract says, as Netcetera’s does, that you can be terminated without recourse and without reason. You might like to take your punt gun elsewhere. The story hits the IT mainstream when a full feature makes one of the main stories of the day at El Reg. The Register reporter, Chris Williams, does some digging and phones both Netetera and Suessenbach. Netcetera do not want to play. Suessenbach tells El Reg that “We cannot speak as litigations are imminent.” Scary. Forums are now buzzing with Bad Science, UK Skeptics and the James Randi JREF covering it. MediaWatchWatch – Just check out the fantastic picture! Other sites, such as The Bronze Blog and Paul Hutchinson’s Blog call for a boycott of Netcetera. What does this mean? Were Netcetera right? At one level, I can sympathize with them. This is a fight they did not choose and could not gain anything from (although Positive will do well). The really big enemy is English Law that is just muddle, unfair and confused – firstly, with its heavy handed libel laws, and secondly, its inability to accommodate electronic media. A more sensible approach needs to be adopted here so that people with genuine grievances can have them heard and addresses whilst the flippant and mischievous can be harried away without fear. But we should not let Netcetera off the hook. The fact that another host were prepeared to take me on and at their expense at least shows that it is not clear cut. For me, I had a contract with Netcetera and they broke it without giving good reason and relying on an unfair and unequal clause in their lobsided contract. Its all a bit fucked up. Alternative Medicine Strongman and Royal College of Alternative Medicine (RCAM) Boss, Professor Joseph Chikelue Obi , has today sent out his very best wishes to the Quackometer Blog Owner Andy Lewis, who is currently transferring his Internet Service Provider (ISP) Ports from Netcetera Ltd to Positive Internet Ltd.
My fundamentally humble message to all Skeptic Internet Service Providers (out there) today is therefore extremely loud and exceedingly clear : Stop condoning the ruthless harassment of Alternative Medicine Practitioners – or be fully prepared to face the dire financial consequences of your actions ! Obi is truly a spokesperson for the whole alternative medicine movement. Joseph, perhaps you would like to apply for this job? Council (CNHC) has been established to put in place a regulatory body for those complementary therapies which are not statutorily regulated, nor seeking statutory regulation. The main function of the new body will be to enhance public protection and confidence in the use of complementary therapists. The Council now wishes to appoint to the role of CEO/Registrar, as soon as possible. You would certainly get my full support. Check out the graphics depicting these awards to Netcetera. Dr Aust sums up the mess very well on Respectful Insolence. Yes, the British law on this is a hopeless mess compared to the UK and Canada. The need for some sensible new legislation is clear, but British Govts are historically reluctant to do anything legislative that curtails lawyers’ ability to trouser huge fees (such as in defamation lawsuits). Perhaps this is because so many British politicians are lawyers. In the UK situation, if the plaintiff says to the ISP “this libellous thing about me is posted on your servers, take it down”, then an ISP that doesn’t take the stuff down becomes directly liable for the libel (Godfrey vs Demon internet). Furthermore, the longer the stuff remains up, the greater the potential libel damages “for accumulated damage to reputation” in a defamation suit – the longer the offending passage is up, the greater the potential harm to reputation, goes the reasoning. The ISPs almost certainly take the view that they are a more “attractive” libel suit target, as they are companies and hence clearly have assets, while the blog poster is likely to have no money to speak of. So the ISP has a large vested interest in caving in. This is why the “legal chill by threat to sue” types in the UK go for the ISP rather than the blogger. All American bloggers should be duly grateful, methinks, for the judgement in Zeran vs. America Online, which effectively says “ISPs are not publishers”. In the UK, where the law conversely does see the ISP a a publisher, it comes down to whether the ISP is prepared to tolerate any potential liability, or even inconvenience, for the sake of some kind of principle. When UCL was trying to boot David Colquhoun ff their servers following complaints and spurious libel threats, many of the people writing to the UCL Provost (including me) argued that as a University UCL had an overriding duty to protect free comment, and scientific accuracy, as part of its core purpose. But it is a bit harder to make that argument with a business or corporation, whose overriding obligation is presumably to maximize “shareholder value”. hence the phenomenon of “libel tourism” I referred to earlier. You can read more Dr Aust here. LOLquacks in an easy to understand synopsys of the Obi/Necetera Affair. A Must Read. Steven Novella discussed the implications of net censorship in light of the netcetera/obi affair. 14 Comments on Netcetera are Recreant Milquetoasts and Poltroons. Positive Internet Stand Tall. However, since you’re ironing out the kinks, could you check the way the site displays in firefox? Might be worth carpet-bombing Netcetera with legal-looking letters threatening to take action against ten, better a hundred of their other sites. I’m pretty sure there are plenty of candidates. And then wait until Netcetera realise that their cowardly position is, in fact, so open to abuse that it is in fact untenable. Internet justice is served. well done to all. And the fact that we’re all rolling around laughing about this does not in any way forbid me to wish that blow-hard fool at http://www.professorjosephchikelueobi.com all the very best in any future non-threatening-to-sue-websites-who-point-out-that-he-isn’t-a-real-doctor endeavours. I recommend the web developer toolbar if you are going to do some redesigning. Indeed it is good to have you back, I have only just found out about this (my mother has been visiting). What spineless twats netcetera are. I had never heard about quackometer before today but I am glad I did. This is the e-mail I sent to Netcetera after I read how the quackometer web page had been treated. I am writing this e-mail to thank you. I have just read the story about how the Quackometer website was shut down by yourselves. Frankly I am appalled that any company would bow down to such obviously baseless threats as those made by Joseph Chikelue Obi. I am in the process of finding a new host for my web page and I was considering your services as you were generally getting good reviews.. That is, I was considering your services until I did a googe-search on “netcetera web host” and as the 6th or 7th resulst got this headline: “Netcetera are a pathetic, cretinous excuse for a webhost at …”. Naturally I clicked on the link and found the story of how the Quackometer website had been shut down. Fortunately the Quackometer web site has found another host and as usual the internet keeps going in spite of spineless corporations and people’s feeble attempts at censorship. In light of the above it may seem a bit odd that I am writing to thank you but that is in fact what I would like to do on 2 accounts. Firstly, by researching your company, I came across the delightful Quackometer webpage which I had never before heard about (has gone into my favourites-list) and secondly, by your actions you made my decision NOT to use your services very easy (I really dont want my web page shut down at the first sight of any ridiculous and unfounded complaint). So thank you very much. I will certainly make sure that noone I know will ever use your services, barring the unlikely circumstance that you actually grow a spine and stop caving in to frivolous threats. What happened is shocking, but the beauty of it is that really it’s Netcetera and the good Doctor himself who have come out of this as losers. I’ve just posted an entry investigating Obi on my own blog if anyone’s interested. From what I’ve found out, he’s hardly rich enough to sue a 1000 sites (http://layscience.net/?q=node/32). As a victim of the fat Uzbeki bully myself, I sympathise with your plight. The law must be amended to protect web hosts, who have no editorial control over what they publish, from cowards such as these. I have a certain amount of experience in defamation litigation, having seen off a vexatious claim or two in the past. The Quack’s entire case depends on whether a court will find whether his reputation has been damaged by your claims. In the light of his GMC woes and other *cough* negative publicity swimming about on the web that he hasn’t been able to remove, the answer will almost certainly be a big, fat no. By the way, Tim over at Bloggerheads has now discovered that Ms Seussenbach is not, in fact, a lawyer. She currently appears to be attempting to establish a fashion school, but also advertises ‘legal advice’ services. See http://www.bloggerheads.com/archives/2008/02/tanja_suessenbach.asp for more. I’ve followed up on your earlier investigations into RCAM’s company registration, and it looks like there could potentially be some seriously dodgy stuff going on, even worse than false addresses. I’ve written an article on it here.